As I never cease repeating here, it is extremely important not to confuse hokku and haiku. People in the modern haiku community like to say that haiku is just the “new name” for hokku. I consider that quite mistaken. If, for example, you write little three-line verses that are not set in a particular season, you are writing modern haiku, not hokku. You are not even writing haiku as it was practiced by the fellow who began haiku — Masaoka Shiki. Instead you are writing modern haiku as it is practiced by large numbers of largely self-taught people who have never understood the history and principles of the hokku, or even those of the kind of haiku Shiki wrote. What they are writing is essentially just a little verse of some kind in three lines. As you might guess, this system became very complicated, so complicated that it eventually took dictionaries of season words and years of study to learn them all and how to use them. You might think, given that Shiki is considered the originator of the haiku, that Shiki would have simplified matters. Actually, just the opposite is true. As R. H. Blyth writes, “In Shiki’s monumental Complete Classified Collection of Haiku there is such an excess of system that the poetry is swamped by it. For example, there are no less than fifty classes of fans alone.” By “classes of fans” he means divisions of fans used as season words. And remember, that is just fans. Very few people writing modern haiku still use season words. There has been, in the past few years, an effort to encourage their use among some haiku writers, and even attempts to compile big lists of “international” season words, but the result is just to bring back the complexity that helped to spoil the hokku originally, and to make it far less spontaneous over the years. And in any case, most modern writers of haiku do not use the season word system at all, in any form. The problem then, is this: If, historically, hokku has always been seasonal verse — with verses connected to and expressing particular seasons of the year — how does one practice it today without the complexity of learning huge numbers of season words, a situation made vastly more complicated now than it was even in the late days of the old hokku? If one abandons the seasonal connection, it should be obvious that one is no longer writing hokku, but instead modern haiku. The answer is really very simple. We cut through the Gordian knot of the problem by simply classifying every hokku we write by the season in which it was written. A spring hokku is marked “spring”; a summer hokku “summer” and autumn/fall hokku is marked “autumn” or “fall”; and a winter hokku is marked “winter.” Whenever a hokku is shared or printed, that seasonal classification goes with it. That eliminates with one blow the needless complexity old hokku developed over time, and it maintains the essential connection of hokku and the seasons that makes it hokku and not modern haiku. Of course there are numerous other differences between hokku and modern haiku, many of which I have discussed in past postings here. But the point I want to make today is that hokku without a seasonal connection is not hokku. One might say that if one takes from the hokku its principles and aesthetics and standards, what is left is modern haiku, like the pulp that is left when the juice is pressed from an apple. 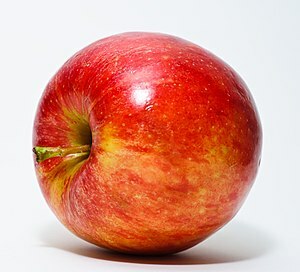 In hokku we want the apple, full and entire. Today I want to talk again about a poem by one of my favorite writers, Alfred Edward Housman. He was, you may recall, a classicist — a professor of Greek and particularly of Latin, and in his poems we often sense the depth that background gives as he mixes the atmosphere of the English town or village with the lingering fragrance of the classic Greco-Roman world of antiquity. In this poem we shall see also that he uses a mixture of objectivity and metaphor, that is, he speaks of things as they are while also speaking of things or events in order to mean something else. Housman was, as I have said before, a poet very much aware of impermanence, and so in that respect his poems are like hokku, which always has as its background the transience of life, the impermanence of all things. One of his finest poems is this — To an Athlete Dying Young. Housman is speaking to the athlete, recalling a past day on which the lad won a foot race. He represented his town and thereby earned it and himself respect, so he was chaired through the market place. That means the jubilant and proud people sat him on a chair or bench, and lifted him to their shoulders, carrying him through the market place — the real center and heart of the town — to honor him. And as he was carried shoulder-high in triumph through the streets, the boys and the men cheered, and he was brought in that way to the door — the threshold — of his own home. Now we have come from remembrance of things past to the present. The athlete — still a lad — has died early, while still a youth. We are not told why he died, but we know it is just a hard fact. So today, on the road all runners come, he is again brought home shoulder-high. Here Housman uses metaphor. By runners, he is speaking of the “race of life,” the course of life from birth to death. So all who are alive are runners in this sense. An old expression used by people near death was, “My race is almost run.” But this lad has ended his race; he has died. And now on the road all runners come — the road to the graveyard — he is once more brought home shoulder-high as his coffin is carried on the shoulders of the mourners. They set him down at his new threshold — the grave — and he makes the transition from being their townsman in life to being a townsman of a “stiller town.” By that is meant the silence of the cemetery and of death. Henceforth he will be one of the quiet community of the dead. You were smart, he says, to slip away from life “betimes” — meaning “early” here — because the fields of life — by which he means first the athletic fields and by extension the world itself — are places where glory does not stay. Fame and the praise of the public do not last. And, he says, though the laurel grows early, it withers more quickly than the rose. We must not take this literally. 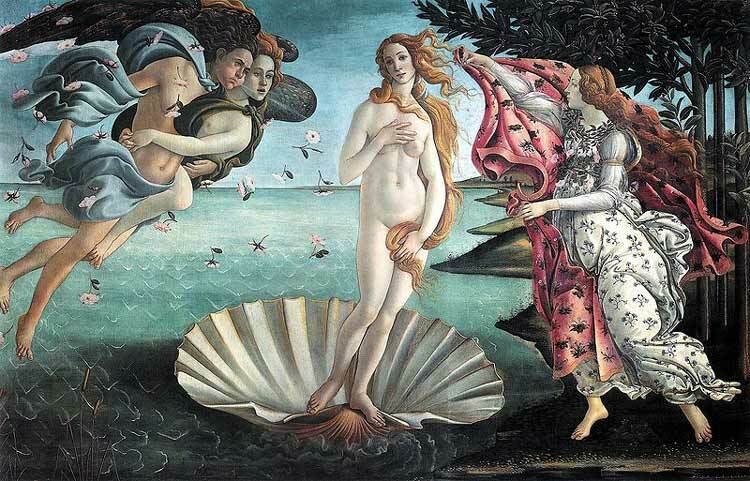 What Housman means is that though one may be crowned with laurel at an early age — the branches of the laurel were traditionally used to crown a victorious athlete in the Greco-Roman world — the laurel (by which he means fame) nonetheless fades more quickly than a real rose drops its petals. Housman is emphasizing how brief and transient fame and praise are. Eyes shut by the “shady night” — by death, that is, cannot see the athletic record one has set broken; and to one whose ears are stopped by earth — plugged with the earth of the grave — there is no distinction between cheers and silence. What excellent lines those are! Now, he tells the athlete, you will not swell (increase) the rout (rabble-like crowd) of those who lived beyond the time of their youthful athletic glory. The athlete, by dying young, will not be one of those men whom renown outran. “Whom renown outran” means that their glory and praise reached its end long before the man reached his own end of life. We all know what he means by this. There are countless young people who seemingly reach their peak in high school or college — the quarterbacks and the gymnasts and the runners — and then the rest of their lives is a letdown to them; they become menial workers in jobs they hate, and some even become alcoholics or drug addicts, because they cannot get used to the great contrast between their lives in the “glory days” of high school and their dull present lives. So they are “Runners whom renown outran / And the name died before the man.” They are now nobodies; people have forgotten them. The name — that is the fame of the person — has died long before the man himself has died. This last line — “The name died before the man” — is exquisite, one of those lines that can be applied to countless individuals who, once famous and well-known, have been forgotten. The common, cruel expression used of such people is “He peaked too early.” But Housman tells his athlete that he has avoided this sad fate by dying early, when he was still famous and praised and loved by his townsmen. To the dear boy who is making the transition from the world of the living to the silent world of the dead, Housman says encouragingly that he should let his swift feet now step upon and cross the “sill of shade” — the border that marks off the living from the dead just as a doorsill separates the outside world from the inside world of the home. And, he adds, do it before the echoes fade — before the shouts of those who cheered you and praised you in life have died away in forgetfulness of you. And here again Housman speaks metaphorically, not literally: He tells the lad to hold the cup he won — the award given him for winning the race — up to the low lintel. By that Housman is again using his past-present analogy — his comparison of the door of the house to the edge of the grave. The lintel of a door is the beam across the top. The lintel of a grave is the lid of the coffin. By this he means that the athlete may die without ever losing his glory; he can hold up his metaphorical award cup in the grave forever, and never lose it as would likely have happened in life when beaten by another, or beaten by the changes of time and the forgetfulness of others. 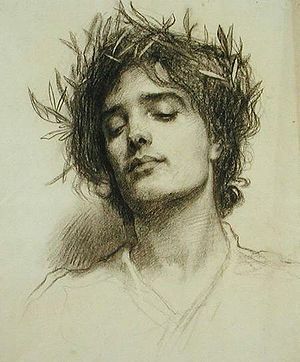 When the athlete has stepped across the sill separating life from death, when he is in the land of the dead, the other spirits — “the strengthless dead” (which is a concept as old as the ancient world) — will gather about the lad and will see the laurel wreath of victory still unwithered on the curly hair of his head. In life the laurel crown — meaning victory and fame — is all too brief, shorter even than the quickly-wilting garlands of flowers the village girls weave in spring and summer to wear in their hair. If this were the only poem Housman had ever written, he would still be famous for it, which is rather paradoxical: the renown of the dusty professor of Latin has outlived the athletic field victories of all the golden boys who studied under him in England before the Second World War. But we sense his love of them in this poem. It is their memorial. Now you shine as Evening Star among the dead. νῦν δὲ θανὼν λάμπεις Ἕσπερος ἐν φθιμένοις. It was written for a youth named Aster, meaning “Star.” The Morning Star was Eosphoros, the “Dawn-bringer”; the Evening Star Hesperos. First, there is the “natural” calendar, which varies depending on where one lives. For example, in my state spring comes earlier in the lowlands than up in the mountains. Second, there is the old, traditional calendar, which is very much the same in the West as it was in the Japan where hokku was first created. In this calendar we use traditional terms such as Imbolc and Candlemas. In our “Western” hokku calendar, spring begins with Candlemas — also called Imbolc — at sunset on February 1, and continues its celebration on February 2; speaking more generally, spring begins the 1st week of February. Our summer Midpoint happens on Midsummer’s Day — the Summer Solstice, June 20 /21. Geshi (夏至): June 21—Summer Solstice, the middle of summer. The End of our summer happens on the Evening before Lammas; then comes Lammas — Harvest Home — Lughnasa, August 1st, 1st week in August. On Lammas our autumn begins. For us it begins with Lammas — Harvest Home (Lughnasa), August 1st. 1st week in August. Our Midpoint is the Autumn Equinox, September 21/22. Shūbun (秋分): September 23— the Autumn Equinox, the middle of autumn. Our autumn has its End at the Evening before Samhain, November 1st. 1st week in November. Then on Samhain our winter begins. Our winter begins with Samhain, November 1st, the 1st week in November. Rittō (立冬): November 7—Winter begins. Our winter Midpoint is Midwinter’s Day — the Winter Solstice — Great Yule, December 21 / 22. 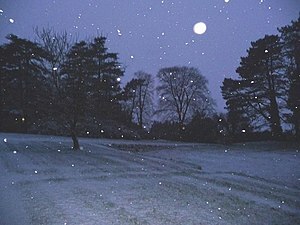 Tōji (冬至): December, the Winter Solstice — the middle of winter. 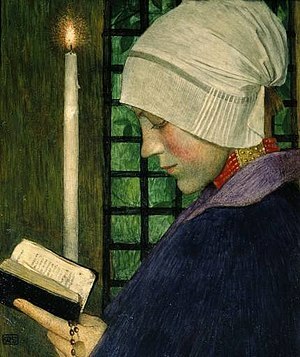 Our winter had its End on the evening before Candlemas, February 1st, 1st week in February. Similarly, as we have seen, for the old Japanese hokku writers, winter ended on February 3rd. And here for us the cycle begins again with Candlemas (Imbolc) at sunset on February 1st. For the old writers of Japanese hokku, it began again similarly with Risshun (Beginning of Spring) on February 4th. Now, what does all this mean to us today? It means simply that if we follow the old and traditional Western calendar as our hokku calendar, we shall essentially and with only insignificant variation be following the same old calendar by which hokku was written in Japan. And incidentally, that old Japanese calendar was actually borrowed from the Chinese, so the Japanese hokku calendar was the same as the Calendar used by the old Chinese poets. So when we use the old and traditional Western calendar, we are, with little variation, following the same general calendar as the ancient poets of China and Japan. The names vary from place to place, but the times are essentially nearly the same. I do not have a high opinion of Wikipedia. In my view, the entries there are often controlled by special interest groups or cliques that skew the information to fit their pet notions. That, of course, distorts the information for the reader, who, if he or she relies on Wikipedia alone (as many students do), comes away with a concept of a subject that is not entirely correct. If one reads the Wikipedia entries on the hokku and the haiku, what one gets is largely the viewpoint of members of the modern haiku community, which of course confuses the terms hokku and haiku. There has been a subtle change in that community in the last five years. It used to just say that the term hokku is “obsolete,” replaced by haiku; now it says a haiku is a single verse, and a hokku is only the first verse of a linked series. Both are incorrect, and a student reading an online article that declares either to be correct will be getting false and misleading information. Here is a re-posting of an article I wrote last year, which gives a brief summary of how western writers first misunderstood the hokku while generally using its correct name, then over time changed to both using the incorrect name for the hokku and misunderstanding it. To make a long story short, if one wishes to understand the hokku and its principles, one does not ask modern haiku enthusiasts, because they either know little to nothing about the subject or deliberately distort the subject to fit their own whims. There are very few who simply recognize the fact that today the hokku and the haiku are two different kinds of verse with different standards and principles, which is the real truth of the matter. One may write hokku or one may write haiku, but one should not mistake one for the other. It is interesting to note that the term haiku did not begin to catch on in the West until the middle of the 1900s. Prior to that time, when Americans or Europeans spoke of the brief Japanese verse form, they correctly called it either hokku — the specific term for an individual verse — or haikai — the collective term for the wider practice of which the hokku was the most important part. In 1905 the Frenchman Paul Louis Couchod, writing some verses in imitation of the Japanese, published a book titled Au Fil de l’eau, filled with verses he called haikaï. Another Frenchman, Fernand Gregh, came up with more imitative verses titled Quatrains in the Form of the Japanese Haikaï. And yet another, Albert de Neville, wrote a collection of verses titled 163 Haikaï and Tanka, Epigrams in the Japanese Manner (I have translated these last two titles). It is not difficult to see that the term favored in France for the Japanese hokku was the term describing the wider practice, haikai, which was also the term favored by Bashō and the other writers up to the time of Shiki, though of course the opening verse, whether it appeared alone or as the beginning of a verse sequence, was the hokku. So really either is correct. That is why today we write hokku, but it still falls within what Bashō termed haikai. Because we tend to concentrate on the individual verses, we more frequently say hokku than haikai. That is as miserable an excuse for hokku as anything one finds in Western “haiku” publications and anthologies of the 1960s. Rolls a cigarette of air. When we come to writers in English, we find that in spite of Basil Hall Chamberlain’s title Basho and the Japanese Poetical Epigram (1902), the favored English term for the verse form was hokku, which was precisely the correct term for such an individual verse of Bashō in Japan. “The Japanese have evolved the still shorter form of the hokku. Pound obviously could not tell good from bad hokku, nor did he really grasp what a hokku was as distinct from Western notions about it. Like my own love song? Noguchi was born in Japan but spent considerable time living in the West and absorbing the “Western” concept of poetry, which was also influencing Japan at that time, and the result, as one sees from his verse, was like trying to genetically cross a dog and a cow. Noguchi evinces as little understanding of the hokku as any confused Westerner. It is unfortunate but obvious, then, that though the writers of Europe and America were using the correct terminology for a hokku, they had no genuine understanding of what it was, as their attempts at writing show. We learn from this that simply calling a verse hokku does not make it hokku. None of these early enthusiasts writing in Western languages really had the foggiest idea how to write a genuine hokku in the tradition of Onitsura and Bashō and the other great writers of Japan prior to Shiki. But at least they got the terminology right. So in the first part of the 1900s, Westerners knew the Japanese verse form was hokku as part of haikai, but they failed to understand what a hokku really was. Imagine, then, how confusing it became when in the mid 1900s the terminology suddenly changed, when what had previously been called the hokku, though greatly misinterpreted, suddenly began being called the “haiku” in the English language. All the confusions and misperceptions and misunderstandings that had been foisted on the hokku by American and European writers were simply transferred to a “new” anachronistic and historically incorrect term. But how did the change in terminology come about? As we have seen, early writers in the West used the original and genuine term, hokku, though they had no idea what they were writing about. The public at large scarcely took notice in any case. Then in 1932 a Japanese named Asataro Miyamori came out with a large volume in English titled An Anthology of Haiku Ancient and Modern (1932). Few in the West read it, but those who did were incorrectly introduced to hokku under Shiki’s revisionist term haiku, which had by then become popularized in Japan. Then the trouble really began in the West. Harold Henderson came out with his little volume of translated hokku The Bamboo Broom (1934), but also following popular Japanese usage of the time, he too incorrectly called the verses “haiku,” not, as they should have been correctly termed, “hokku.” And make no mistake. Almost all the verses Henderson included were really hokku, not haiku. But what really changed the scene was the work of Reginald Horace (“R. H.”) Blyth, who in works published between 1942 and 1963 consistently used the then-popular term in Japan — “haiku” — to describe what was really hokku. That is not surprising, because Blyth took up residence in Japan and used the terminology popular in the Japan of his day, but it is nonetheless very unfortunate that he unwittingly contributed to misunderstanding when he worked so diligently to explain what was really “hokku” to the West. Because Blyth was the most prolific writer on the subject, and also by far the most widely-read and the best, the older and historically-correct term “hokku” was largely displaced in American and British understanding by the newer, inaccurate, anachronistic and revisionist term “haiku.” This very confusing change of terminology in describing what was already a thoroughly misunderstood verse form in the West only created virtual chaos in the public mind. The use of “haiku” instead of hokku was enthusiastically supported by such budding groups of Western writers as the Haiku Society of America, who seemed to think that wrongly calling the verses of all pre-Shiki writers “haiku” would somehow make their own peculiar efforts appear to be in the old tradition of Bashō, when in reality they were often simply furthering the misperception of the verse form that had been common in the West since the days of Couchod, of Pound, and of Lowell. The teaching of “haiku” in the 20th century became the blind leading the blind, and this has continued even into the 21st century, which has only exacerbated the misunderstanding and confusion regarding hokku and haiku. Now what does all this chaotic history mean for us today? It means simply that hokku as the verse form written from Onitsura and Bashō in the 17th century up to the end of the 19th century was never really transmitted to the West. The “starter,” to use a baking term used in making sourdough bread, never “took.” Instead, hokku was hijacked and distorted and misrepresented by the Western modern haiku groups that began appearing in the middle of the 20th century, and it is still, for the most part, in that lamentable situation today. The number of persons who understand and practice the old, genuine hokku in English is today very small in comparison to the huge numbers of writers of the haiku in its multitude of variations. The average writer of haiku has never learned the nature and characteristics and aesthetics of the old hokku, and simply cannot recognize one as distinct from haiku. That is how thoroughly the public has been misled by the self-made haiku pundits and the haiku societies of the 20th and early 21st centuries. It is true that genuine hokku may be found in the works of Miyamori, of Henderson, and of Blyth, but even these potential models — in spite of Blyth’s superb commentaries — were re-formed in the Euro-American mind to fit inaccurate Western preconceptions and personal whims. What did appear in the West as hokku in the early 1900s and as haiku from the 1960s onward was simply a new Western verse form that embodied the Western misunderstandings and misperceptions of the hokku. Like Chinoiserie and Japanoiserie in art, it was a romanticized and completely inaccurate Western misperception of an Asian aesthetic matter. That means, essentially, that all those haiku groups and literary publications that began appearing in America and Britain in the 1960s generally had virtually nothing to do with what was written by Basho and Onitsura and other Japanese writers in the two centuries prior to the revisionism of Shiki. With very few exceptions, none of the vast number of “haiku” writers from the mid-20th century up to the present have any relation to genuine pre-Shiki hokku. What has happened, however, is that people have simply misinterpreted the fact that modern haiku was inspired by the old hokku as evidence that modern haiku is a continuation of the old hokku. That is like imagining that humans and chimpanzees are today essentially the same simply because they had a common evolutionary ancestor. Nonetheless, this gross misperception has been actively and enthusiastically promoted by modern haiku groups. The haiku is not at all the same as the hokku. Instead, it developed out of the old hokku through the revisionism of Masaoka Shiki in Japan, near the end of the 19th century. And it is bizarre, to say the least, that in any modern “history of haiku,” the greater part of text is taken up in describing what is really, historically, hokku — which bears no relationship to modern haiku other than that already described — that the haiku was “loosely inspired,” as one might say, by the outward form of the old hokku. And that is really the only connection. Aside from that tenuous link, modern haiku in English and other European languages is actually a new, Western verse form created from misperceptions and misunderstandings of the old hokku. Those who wish to write hokku, then, will not learn how to do so from reading books put out by those in the modern haiku community, or by reading the endless misinterpretations on modern haiku web sites. Instead, one must learn hokku quite separate from all that is modern haiku, if one wishes to learn it correctly. Hokku is not, and never was, haiku, and until one understands that basic fact, one will not be able to understand it or to learn how to practice it. Every now and then I like to mention hokku’s “evil twin,” senryu. Unlike hokku, senryu does not express a particular season. Nor does it express Nature and the place of humans within and as a part of Nature. Instead, senryu points out (with a Nelson Muntz-like “Ha, Ha!”) the quirks of human nature. It pokes fun at everything. It tells the truth, but it is often an uncomfortable truth. Hokku is spiritual and contemplative; senryu is earthy and satirical. It reminds me of the Shadow in Jungian psychology — the dark underside of human consciousness, all those things people ordinarily keep hidden from sight, things which they themselves are unaware of, but which pop up now and then at the most unexpected times and in embarrassing ways. This shows us the difference between mothers and fathers. The father is in strange and unfamiliar territory, but he does the best he can, trying to sing a lullaby but not in full command of the words or music, which he keeps getting wrong. This is something that continues from childhood onward, even into the sudden interest old people with money find younger people taking in them. If he had no candy, the others would not play with the child, and without the money, the old person would be ignored. He would not dare do this facing his students, who might get the all-too-obvious impression that the subject is boring the teacher as well as the students (which, of course, it is!). Senryu, like hokku, often require a certain amount of intuition, of “following the dots” to make the whole picture. In this one, the nurse has been tending a good-looking young fellow, but his girlfriend keeps visiting him, and of course the nurse, who has formed an attachment to the young man, is jealous. This is very psychological, and senryu often has as its point the experiencing of psychological states. In this one the fellow got upset and stormed off in anger, but forgot and left his hat behind. Now he is faced with how to go back and get it without looking foolish, and it is precisely this state of mind that the senryu intends to evoke, and it is that state of mind that is the point of the verse. This, again, requires connecting the dots. When she goes to the movies, the woman sees appealing men on the screen who have all the attractive qualities her husband seems to lack, so she comes home from the films feeling disappointed and cheated. This is the realm of TV evangelists and other ministers who pretend to knowledge they really do not have “deceiving himself as much as his hearers,” as Blyth comments on the Japanese version of this verse. You can see from these few examples that the purpose of senryu is very different from that of hokku. Senryu is very “worldly” in the sense in which religious people use the term — attached to the things of this world — while hokku is not. One familiar with conventional Western poetry is likely to ask, “What does it mean?” That is a question inappropriate for hokku. Archibald MacLeish once wrote in his Ars Poetica (“The Art of Poetry”) that a poem “should not mean but be.” I doubt that MacLeish really understood that statement himself, but it applies to hokku, which does not mean, but only is, just as the darkening of day is, just as the falling snow is. As I said in my previous posting, what is important in hokku is an experience; seeing the day darken, and with it seeing the snow once more beginning to fall. That is all. We need not look for anything we can put into words beyond that. Yet when we would express it, words suddenly fail. In conventional poetry, words can express everything, if only one uses enough of them. But hokku recognizes something that lies deeper than thought, deeper than intellection, something words cannot reach, and makes that an essential part of its unique approach to verse.